Brandon G. Green is a creative artist and educator from Selma, AL, currently working in Boston, MA. Recent credits include Romeo & Juliet (Commonwealth Shakespeare) The Scottsboro Boys with SpeakEasy Stage (IRNE Winner/Elliot Norton Nom - Best Ensemble), Mr. Burns, A Post-Electric Play (Lyric Stage), and An Octoroon(Company One/Arts Emerson) for which he was the recipient of the 2016 Eliot Norton Award for Best Actor. Credits include work with 3050 Music Group, Commonwealth Shakespeare Company, Brand New Classic, Huntington Theatre Company, Nora/Underground Railway, Cape Rep Theatre. 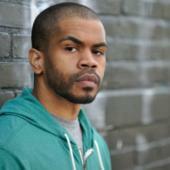 When not writing and performing, Brandon is a teaching artist with Daniel Beaty's I Dream Project and is a Lecturer of Theatre Arts at Brandeis University and MIT.